German hard rock group Rammstein has provoked outrage with a video featuring the band dressed up as Nazi concentration camp prisoners. An Israeli official has described it as "shameful and uncalled for". The nine-minute-long film for the single Deutschland includes scenes of the band with nooses around their necks. 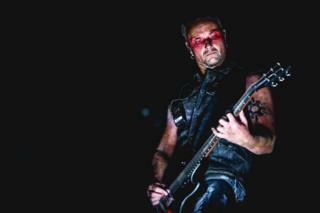 Critics accused Rammstein of a cynical publicity stunt playing with Nazi-era imagery to generate media hype. In the video, the band assumes different roles during eras of German history. At least one band member appears to be wearing a yellow Star of David of the type Jews were forced to wear by the Nazis. The video then shows the prisoners shooting people who appear to be SS guards in the face. Felix Klein, the German government's commissioner for anti-Semitism, said that if the Holocaust imagery in the video was just used to promote sales, then it was "a tasteless exploitation of artistic freedom". The band has built its image around dark militaristic aesthetics, and in a 1998 video used footage from Leni Riefenstahl's 1936 Nazi propaganda film Olympia. Their videos, lyrics and album artwork have included references to necrophilia, sado-masochism and sexual violence. Despite the backlash, many have also been speaking out in support of the video, pointing out that the band was simply depicting German history. "It's definitely calling out for learning from past mistakes," tweeted one user.